DEMOSOFC Workshop and a site visit – Do not miss! Convion is pleased to be presenting at an open DEMOSOFC workshop in Turin, Italy, on November 14. The workshop will provide a mix of technical and economic aspects of an industrial application of SOFC fuel cells, and expert insights from both academia and industry. 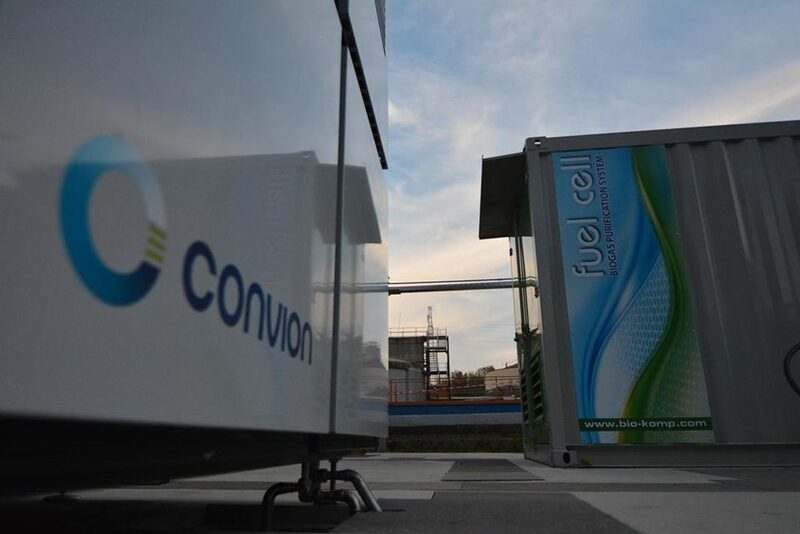 The event is part of the DEMOSOFC, a European project which has received funding from the Fuel Cells and Hydrogen Joint Undertaking. Visit a working demonstration installation of an industrial biogas fueled SOFC system. The one-day workshop is open for the public but you are requested to sign up in order to ensure a sufficient number of seats. Please, take a look at the workshop program and the concept of DEMOSOFC in is full breadth. Do not miss an exceptional opportunity to visit the demonstration plant at a Collegno waste water treatment plant of SMAT to see a first-of-a-kind installation of a fuel flexible Convion C50 SOFC system in operation and to get a first hand understanding of the implementation and opportunities regarding SOFC’s with biogas. There will also be time for questions and discussions and a chance to meet the people behind the project. We look forward to meeting you in Turin.